Fired up the game but once it gets into the main menu, it never stops trying to connect while authenticating. Seem like it goes on forever. Exit the game, fire it up again and same thing is happening. What’s wrong? My internet connectivity is not having any problems. Recently I’ve been noticing a lot of connectivity issues with the game ever since the 2.20 patch update. Same for me. 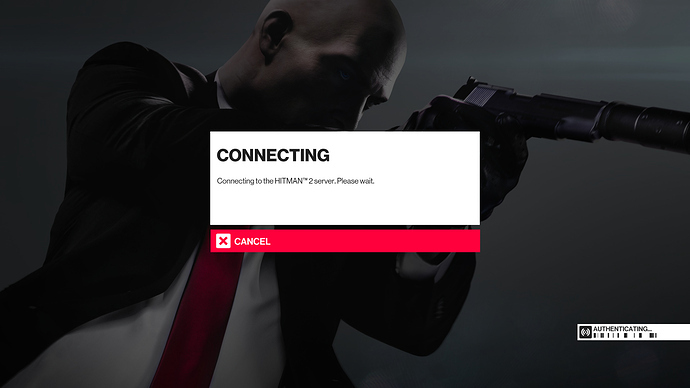 Eventually it will connect for me after a lot of attempts, I didn’t have any connection problems before last update. Same here. No problems before last week’s update. I’m experiencing the same issue. Couple of weeks ago it would fail to connect the first couple of times. Now it won’t connect at all. I’m using the game on steam. Installed the game on separate machines, same issue. Modem and router restarts don’t work. I’ve have no network issues regarding any other games. I’ve also been trying to switch out DNS using Google DNS instead of Provider DNS seeing if that solved the issue, but unfortunately it didn’t.